Reduce organic solids avoiding the accumulation and deposit of waste. It is a liquid solution containing 13 species of living microorganisms (acinetobacter, pseudomonas, pseudoxanthomonas, citrobacter, bacillus, brevibacillus, enterobacter, bordatella and stenotrophomonas) specifically designed to control and eliminate fat deposits, food debris and other organic solids including paste, vegetable material, hair and other solids associated with food preparation. 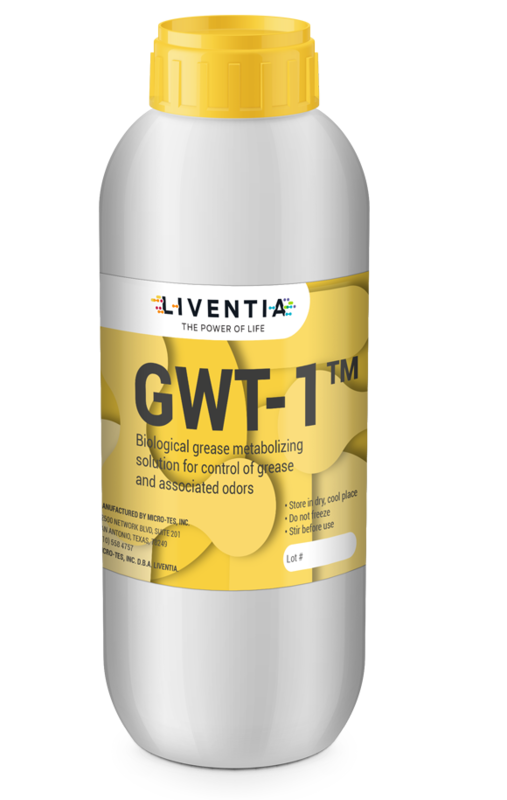 Solubilizes grease from pipes, sewers and traps. Sewer systems and pipes are kept clean and without plugs.